Control click heading above to hear a short clip from Krzysztof Komeda's score for Roman Polanski's Knife in the Water (1962), shown at the first New York Film Festival in 1963. 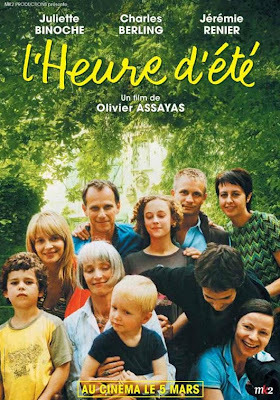 Other films shown at the Festival in 1963: All the Way Home (Alex Segal, USA), An Autumn Afternoon (Yasujiro Ozu, Japan), Barravento (Glauber Rocha, Brazil), Elektra (Takis Mouzenidis, Greece), The Fiances (Ermanno Olmi, Italy), Hallelujah the Hills (Adolfas Mekas, USA), Harakiri (Masaki Kobayashi, Japan), Le Joli Mai (Chris Marker, France), Love in the Suburbs (Tamas Fejer, Hungary), Magnet of Doom (Jean-Pierre Melville, France/Italy), Muriel (Alain Resnais, France/Italy), RoGoPaG (Roberto Rossellini/Ugo Gregoretti/Jean-Luc Godard/Pier Paolo Pasolini, Italy/France), The Sea (Giuseppe Patroni Griffi, Italy), The Servant (Joseph Losey, UK), The Sky (Takis Kanelopoulos, Greece), Sweet and Sour (Jacques Baratier, France/Italy), The Terrace (Leopoldo Torre Nilsson, Argentina), The Trial of Joan of Arc (Robert Bresson, France). 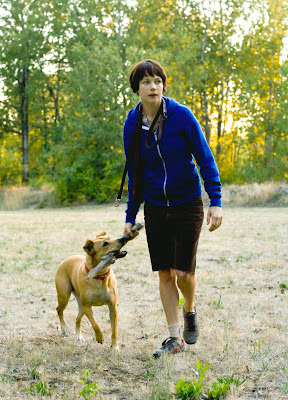 Michelle Williams and Lucy in Kelly Reichardt's Wendy and Lucy. Alphabetical list of all films in all New York Film Festivals. Cosgrove's chronological list of New York Film Festival films from 1963 to 1992. A.O. Scott on the 46th New York Film Festival. Marisa Tomei and Mickey Rourke in The Wrestler. See more at Slash Film. It's now possible to embed from Google Books. So here is the contents page from the allegorical science fiction novel Etidorpha by pharmacist John Uri Lloyd. (The title is "Aphrodite" spelled backwards.) Control click on a chapter, and a separate page will take you on this near-psychedelic voyage. Wood sketched this concept for a Mad logo. He often made lists with his free associations of random ideas. The MoMa exhibition and film series "Jazz Scores" ended this past week. 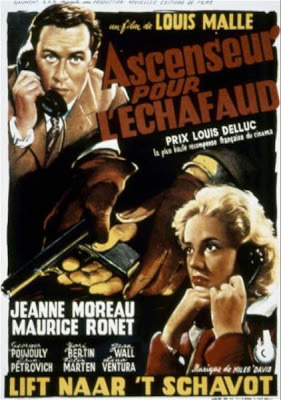 MoMA film curator Josh Siegel narrates this video from WNET's Sunday Arts with clips from A Streetcar Named Desire, Louis Malle's Ascenseur pour l’échafaud (Elevator to the Gallows) and other films. 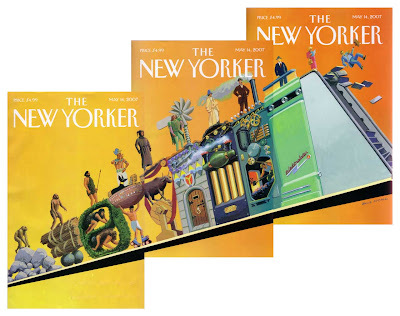 Thanks to W=UH for the overlap image of Bruce McCall's May 14, 2007 covers for The New Yorker. Electronic music pioneer Bebe Barron (1925-2008) died April 20. 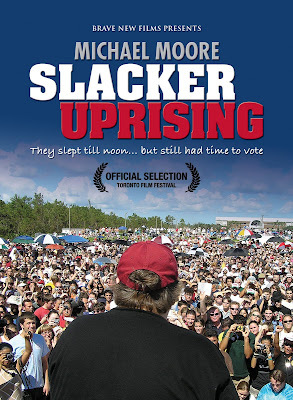 Michael Moore's new movie, Slacker Uprising, opens September 23 and is free online. The new Oliver Stone movie, W., opens October 17. Here's Karl Rove making W. memorize answers, telling him, "Before you speak, come to me first. I'll tell you what to say." W. chiding late-arriving "Balloonfoot" Powell, saying military men should know about being on time. Rumsfeld, who's hard of hearing. W. happy when Cheneylaughs at his cowboy-delivered twang. Cheney stepping in cow poop at Crawford. W. eating his favorite White House bologna sandwich lunch. In all presidential erudition, telling Gen. Tommy Franks to be sure what he's doing: "I don't want to fire no $2 million missile at a $10 empty tent and hit a camel in the a - -." Then: "Americans don't like to see dead boys on their television sets." Telling education reformers: "Rarely is the question asked, 'Is our children learning?' "
Page 10 on Bill Clinton: "My mother waddles faster than that larda - -." Page 11: "We'll move these terr'ists to Guantanemera." Cheney: "Guantanamo." Bush: "Right." Then Bush to Cheney: "Vice, when we're in meetings I want you to keep a lid on it. Keep your ego in check. Remember, I'm the president." Flashbacks have college-boy W. boozing, slacking off from work, in jail, calling his then-congressman father "Poppy." Sr. praising Jeb, castigating Jr., asking if he's "knocked up" a girl named Susie, complaining, "You never kept your word once . 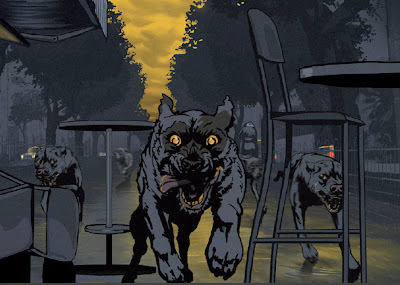 . . you're only good for partying, chasing tail, driving drunk . . . You deeply disappoint me." Repeat father and son arguments. Father: "I've had enough of your crap." Son: "I've had enough of you for a lifetime." Mama Barbara breaking up the near fisticuffs with announcing Jr. just made Harvard and Sr. responding, "But who do you think pulled the strings?" In line with what Stone personally says about W.: "Limited ability except to promote himself," in one cocky flashback he guarantees he can fly a plane and then has trouble landing it. Page 50, asked if he loves his parents, he answers: "Most of the time. My father and I have a tough go . . . My mother says I'm as good as her at holding a grudge." After his father becomes president: "I'll never get out of Poppy's shadow. I wish he'd lost." 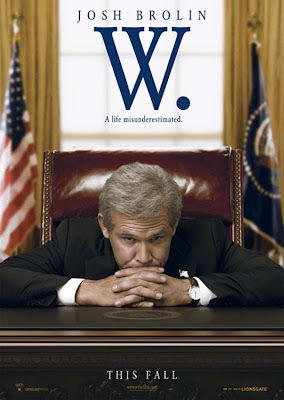 After W. becomes president, his father saying, "I'm worried about him. Really worried. But you can't talk to him." And Barbara replying, "Well, he's not going to listen to me. He takes criticism worse than I do." And after Jr. knocks his father and shouts, "This is my war, not his," Condoleezza says: "We'll let him know that from here on out, he's persona non grata. No briefings, no nothings." Here are excerpts from 2,846 film reviews by Pauline Kael, the film critic other film critics acknowledged as the pack leader. A review by Kael could sometimes be more thought-provoking than the film she was reviewing. Thanks to Tom Sutpen we have this audio of Kael speaking at San Fernando Valley State College in 1963. 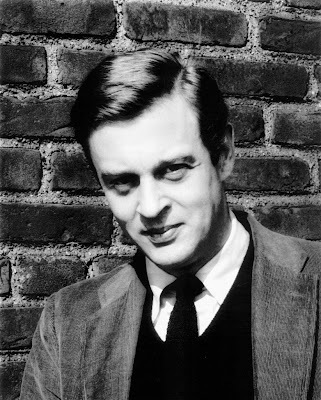 Roger Ebert wrote that she ''had a more positive influence on the climate for film in America than any other single person over the last three decades." Below is a sample Kael review, Home Before Dark, a memorable psychological drama which has never been on VHS or DVD. 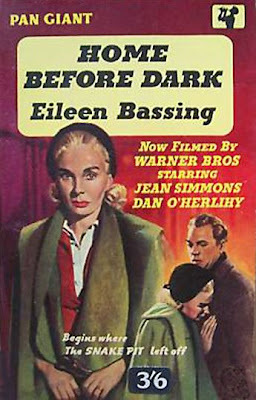 The original negative is lost, but it would be nice to once again see this 1958 film, adapted by Eileen and Robert Bassing from the novel by Eileen Bassing. The scene of Charlotte Bronn (Jean Simmons) drifting into madness outside the Bonwit Teller department store in Boston is unforgettable. Boston's New England Museum of Natural History was in a building constructed in 1863 at 234 Berkeley Street. When the Museum closed in 1947, the building was taken over by Bonwit Teller, which was at that location from 1947 to 1988. On the side facing Berkeley was a peculiar architectural feature, a window display which extruded from the building. 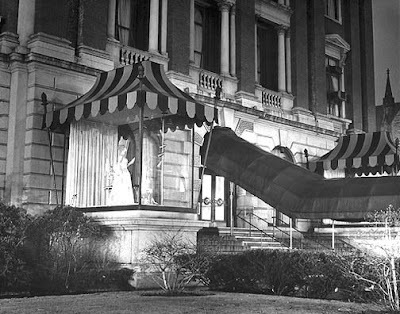 This had the appearance of a glass gazebo, enabling a single dress to be viewed from three different sides. Director Mervyn LeRoy used this unusual location to create a sequence of mental erosion worthy of Tennessee Williams. Charlotte is married to college professor Arnold Bronn (Dan O'Herlihy), and she has long suspected that her cold and distant husband is secretly in love with her stepsister Joan (Rhonda Fleming). In her mentally disturbed state, Charlotte gets a makeover so she will look like Joan. 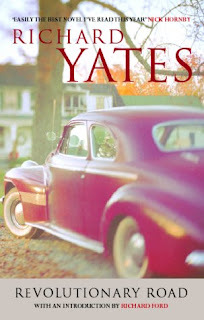 LeRoy positioned his camera on Boylston Street and panned from Fanny Farmer to Bonwit Teller. When Charlotte walks to the exterior window display gazebo, she stares at a spectacular sparkling gold dress. She goes inside, requests the dress in Joan's size, tries it on and buys the dress, despite protests from Bonwit Teller saleswomen who tell her the size is much too large. In a Boston restaurant during the holiday season, Arnold and his friends await Charlotte's arrival. She enters with her new hairstyle and the ill-fitting gold dress slipping off her shoulders and breasts. Arnold is aghast as she makes her way between tables in the crowded restaurant with a fixed smile, repeating over and over, "Merry Christmas... Merry Christmas... Merry Christmas... "
Control click heading at top to hear Terry Gross interview with Kael (February 4, 1986). We bid farewell to Don LaFontaine. The Voice of God is dead, fading out September 1. My history begins as a recording engineer at the National Recording Studios, where I had the opportunity to work with Floyd Peterson producing promo spots for Dr. Strangelove. Peterson incorporated many of my ideas for the spots, and not long after, we went into business together. While working on the 1964 Western Gunfighters of Casa Grande, I had to fill in for an unavailable voice actor to finish a client’s presentation. Not long after, the client bought the spots, and my career as a voice actor had been sealed. Prior and into the 1970s, I developed my signature style of a strong narrative approach and heavy melodramatic coloration of my voice work. Thankfully, my signature voice has commanded a busy schedule. I could voice about 60 promotions a week and as many as 35 in a single day. It has been said that my voiceover can add prestige and excitement to what may otherwise be a snoozer movie. Most studios are willing to pay a high fee for my service, thanks in no small part to my rigorous efforts and golden voice.